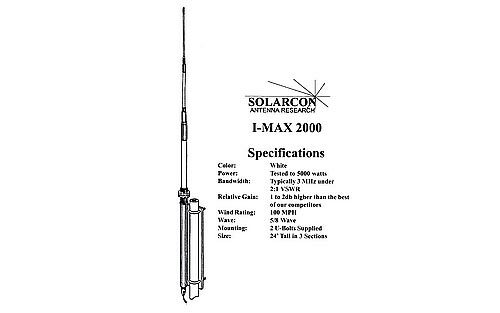 The Imax 2000 base cb antenna is a 24' 5/8 wave, the Antron 99 & Protron 99 is 18' 1/2 wavelength Cb radio antenna. A99, P99 & Imax2000. The Bandit 2 comes in three six foot sections and is pretuned for the 11 meter Cb radio band. The SWR is adjuatable via the tuning rings at the base. 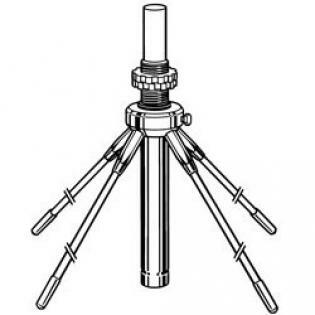 The Bandit II comes with a bracket and U bolts to mount it to a standard antenna mast pole. OMNIDIRECTIONAL C.B. 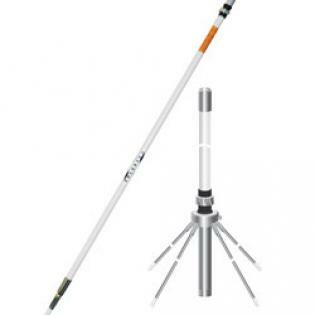 BASE ANTENNA **BANDIT II MEETS U.S. GOVERMENT CPSC SHOCK UP TO 14,500 VOLTS **INPUT WATTS OF 2000 **18 FEET TALL, COMES IN THREE SECTIONS ** DURABLE FIBERGLASS CONSTRUCTION, WITHSTANDS HEAVY WINDS. *Mounts to antenna mast with included U bolts. The MAX GPK used with the I-max 2000 is intended to lower the angle of radiation for a slight increase in range. I have read that it slightly reduces sky-wave interference on receive. In summary and to save you some time from looking around the internet I've seen mixed reviews and test data stating no noticeable improvement to slight improvement. In theory it should give a slight improvement on transmit and receive. *Three 6 sections just screw together for easy assembly. *Two U bolts included, that attach antenna to the mast. *Mount and antenna mast not included. 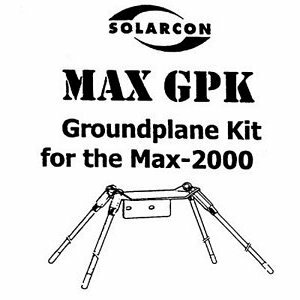 The Solarcon GPK1 ground plane kit used with the Antron 99 (A-99) base cb antenna is intended to lower the angle of radiation for a slight increase in range. I've seen mixed reviews and test data stating no noticeable improvement to slight improvement. In theory it should give a slight improvement on transmit and receive. 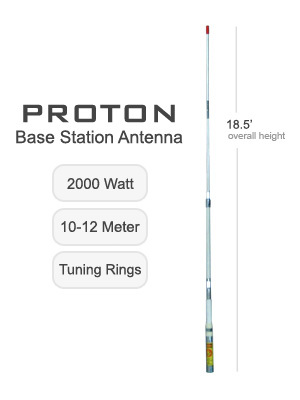 *This is our only base antenna that can be shipped international.